We’ve all heard the classic break-up line, “It’s not you, it’s me.” When it comes to marketing content, it’s not about YOU, or your company, it’s about “them”, – your customer. Many tend to think that creating content is all about what they know and what fills a page, when it should really be about the content your audience is looking for. 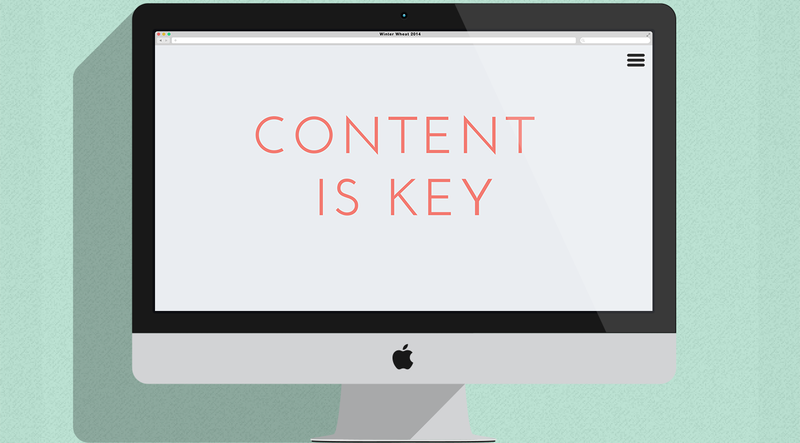 Remember this – the right content is key to successful marketing. How do you create content that is all the aforementioned things? Brainstorm. In the marketing world, this is a must, and it’s a great starting point. It can be fun and frustrating, but you have to be willing to create a free environment for good and terrible ideas to flow. Put yourself in your consumers’ shoes and think about what they want to know. Make sure your content adds value to your consumer. They’re taking their precious time to view your content – make sure they leave your site having learned something new they can take with them to improve their lives or share with others. Engage with your audience. According to Patel, that’s almost half the battle of the marketing challenge (41 percent to be exact) – producing the kind of content that engages. So, conduct a poll. Create an infographic. Tell a story. Use humor. Be human. Now that you have a starting point for creating content, you need a strategy on how to deliver that content to the right channels. 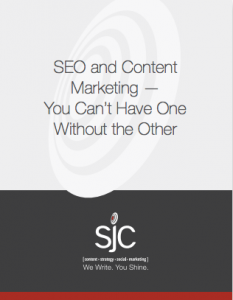 SJC Marketing would love to talk strategy with you and help you develop your marketing plan.